Arsenal are reportedly unable to complete the transfer of Belgian winger Yannick Carrasco until they free up money on the wage bill by offloading Mesut Ozil. As things stand, the German playmaker is the main obstacle preventing the Gunners from landing Carrasco, with the club said to be trying to get him off their books by offering him to Juventus and Inter Milan, according to Tuttomercatoweb. Carrasco previously shone in European football with Monaco and Atletico Madrid, but is currently at Chinese Super League club Dalian Yifang, where he will no doubt have been earning big money. 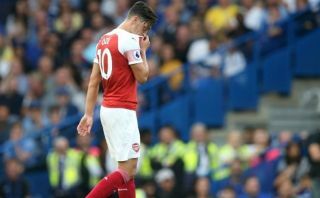 This makes it difficult for Arsenal to match the kind of wages he expects, with TMW suggesting a deal for the 25-year-old cannot be done while Ozil remains at the club as it would be too expensive. This must be incredibly frustrating for Arsenal supporters, with Ozil not even playing under Unai Emery at the moment, despite having only signed a new contract at the Emirates Stadium last season. The ideal scenario here would probably be for Emery to give the 30-year-old more playing time as it’s not even clear why he’s found himself out of favour anyway. For all his flaws, Ozil generally shone for Arsenal under Arsene Wenger and offers the kind of creativity that few others in this squad can.